My brother-in-law and I grill together a few times a summer. We’re a bit too lazy to do it more often than that. Or maybe we’re just influenced by family members. My niece doesn’t like grilled food (she’s 10) so I guess there’s less incentive. I made pork tenderloin skewers, and then tossed them with the fresh herbs, garlic and lemon sauce recipe (the original published recipe paired the sauce with grilled chicken). My fresh herbs were oregano and tarragon from my garden. The original instructions has you keep the ingredients separate until you’re ready to toss but I don’t know why. I preferred dumping everything in a large mixing bowl so that I had an easier time bringing it outside. Overall, we really liked it. I think my mom was the only person unimpressed but that’s only because she found the lemon juice to be too sour. I could barely taste it. 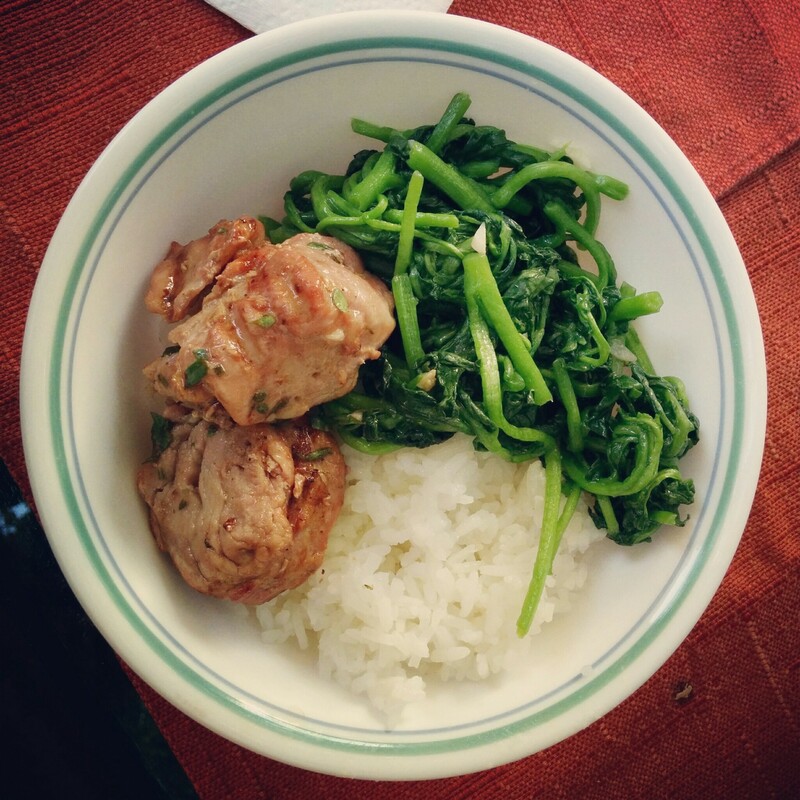 I plated my pork with some stir-fried watercress (made by my mom) and some white rice. It was delicious. I think I need a copy of the book for myself (I know… I have too many cookbooks) since the copy I was working from came from the library. There are lots of other recipes in the book that I would like to try before summer ends.